Social Media is an incredible way to explore your business network. Understanding the concept of social media and effective utilisation can proffer efficient results of social media optimisation. Nowadays mostly all internet users use social media to expand their social network globally. 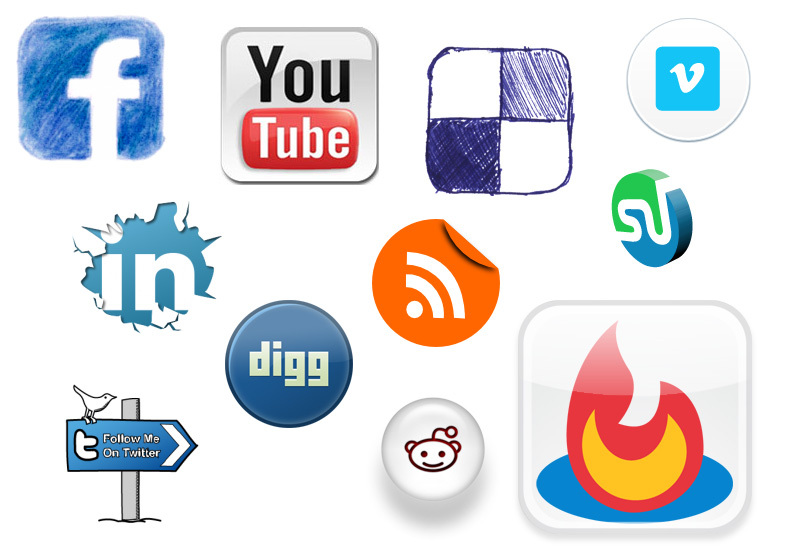 There are many social networking websites, but very few popular websites, such as Twitter, Facebook, LinkedIn, etc. You can best utilise these networking sites for marketing your business to a wider audience. Therefore, it is essential for businesses to include Social Media in web design. You can put links in your website for some articles or product information, that if users like, they can share with their network. In this way you can market your business or product very easily. Social media is very effective when you deal directly with your customers and beneficial for other businesses to stay in touch with customers using social network websites. Thus, you can also connect with a wide range of your customers and can increase your marketing network effectively in order to popularise your brand or service. You can share articles or blogs regarding your product or service to your network and create discussions on any topic online. However, you don’t need to share your confidential business matter on social networking site. Social Media in web design is important for many reasons such as helping people connect easily to allow for building relationships, know your audience, referral to the influencers, joining conversation, obtain resources and many more. It is an efficient form of media to share your business ideas, products, services and brands with global network.